Biryani is surely a popular food dish in India as there are 26 different types of ‘Biryanis’ in India. Many have been fascinated by its taste and the sheer brilliance of its preparation.’Biryani’, however has originated from Persia. Derived from the persian word ‘Birian’,which means ‘roasted before cooking’, biryani is a mixture of rice(basmati),meat/vegetables, yogurt and spices. It is believed that an Arab trader called Taimor Lang(lame),brought it down from Kazakhstan via Afghanistan to Northern India. 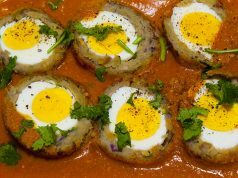 Another legend has it that Mumtaz Mahal,wife of Shah Jahan, invented this dish as a “complete meal” to feed the army. However,some say the dish originated in West Asia where the ‘Nomads’ buried an earthen pot full of meat, rice and spices in a pit and eventually the pot was dug up containing ‘Biryani’. Whatever the legends may be, ‘Biryani’ was here to stay. Its amazing to know how this dish became quite popular from one place to another. It went all over the country with different regions having their own versions of Biryani. Indisputably, this is one dish people all over will eat and devour. I’ve attempted to show just a few varieties among the 26 and more types. Kashmiri cuisine is a mix of influences from both the Kashmiri Pandits, the Hindus who lived in the valley in the middle ages and by the cultures which arrived with the invasion the Kashmir region by Taimur from the area of modern Uzbekistan. Subsequently, it has been heavily influenced by other central Asian, Persian and Afghan cultures. Little is known about ‘Kashmiri’ Biryani. 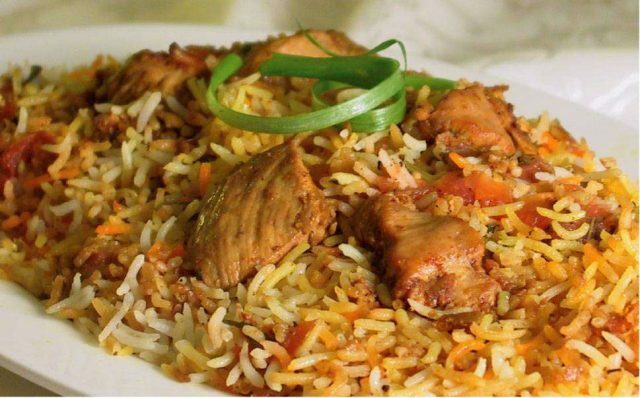 Its origin can be found first with ‘Kashmiri Bhuna Ghost’ Biryani and the ‘Kashmiri Katche Ghost ki Biryani’, which is the result of Mughal emperor’s frequent visit to Kashmir. Today however, a variety of biryanis add up to the Kashmiri cuisine. Kashmiri biryanis stands out because of the addition of a hearty dose of asafoetida. 1. Heat ghee and add all the whole spices till they crackle, add ginger garlic paste, meat, brown onion paste and salt. 3. Add the curd, yellow chili powder. Simmer till the fat surfaces from the curd. 4. Add stock and simmer till the meat is tender. 5. Wash and soak rice for 30 minutes. 6. Bring the water to boil for the rice. Add whole garam masala, salt and lemon juice. 7. Add the salt and only par boil rice and remove. 10. Add the par boiled rice, saffron and cream. Seal the pot with a lid and place on a slow simmer to cook. 11. Garnish with golden brown onions and serve hot with Burrani Raita*. Lucknow,known as Awadh, in olden times was home for the Moghuls when they ruled India between 1800 to 1900. These Moghuls came up with the famous ‘Awadhi’ biryani which is popular in North India. The root recipe of Lucknow (Awadhi) Biryani lies in the Moghul dish. ‘Lucknowi’ biryani owes its success to a homogenous blend of spices. Meat cooked with fragrant spices, combined with rice in layers and finished on dum is known as biryani. If you want to eat the best biryani in the world you’ll need to travel to Lucknow. Lucknow and biryani have almost a symbiotic relation for the gourmet. Haji Wahid Qurash’s ‘Wahid ki biryani’ of Aminabad, Idris Biryaniwala in Patanala Chowk is most famous for delicious biryani in Lucknow. Kolkata biryani is far spicier than its cousins, and distinguishes itself by its use of potatoes. The whole, skinned potatoes in biryani take on all the nuances of flavour in the stock. Even this has a history behind it. This biryani originated from the Avadh royal family, which migrated to Kolkata with a coterie of cooks. The dish permeated from the royal family downwards to common households.From Lucknow the biryani moved to Calcutta when, in 1856, Nawab Wajid Ali Shah was deposed by the British. His team of cooks moved with him and so did the biryani . In Kolkata the biryani entered poorer homes, which could not afford meat everyday, so the meat was replaced by potatoes which came to be known as the ‘Calcutta Biryani’. Slice the onion in hoizontal way so that rings are formed and fry it in oil until its light brown. Add garlic, ginger, salt, chili powder, cloves, cardamoms, black peppers, zeera, bayleaves, cinnamon to the above mix. Fry this until the water is dry. Add the meat and fry it again for 10 minutes. Add yogurt and dry plums to the mix and fry for 5 mins. Add some water and cook on low heat until the meats cooked. Lamb without pressure cooker takes 2-3 hours while chicken takes 45 mins. Peel the potatoes and cut them into large chunks. Boil (or microwave) them until they’re half cooked. Add it to the mix and cook for more time till everything is cooked. At the end there should be 2-3 cups of gravy in the mix atleast and it should be a thick gravy. Separately soak Rice in warm water for 20-30 mins. Now add saffron to the mix and put it in rice cooker. Make Sure that rice has to be 3/4th cooked and not totally cooked. 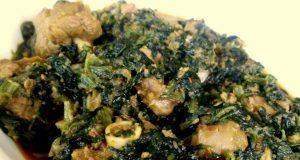 I cook this in lamb broth that i make of 1-2 bones and meat jsut for more flavor. Layer 3: mint, cilantro chopped with lemon slices. resultant gravy in a sealed handi. * Wash and soak the basmati rice for half an hour. Drain the water. Put the rice, some more water and add half the whole garam masala and salt in a pan. * Bring the rice to a boil and cook until the rice is done. Drain and keep aside. * Dice the peeled potatoes and carrots and wash them. Slice the onions and green chilies. * Peel ginger and garlic and chop finely. Chop the coriander and mint leaves. * Soak the almonds in water for half an hour and keep aside. * Beat the curd in a bowl and divide into two equal portions. * Dissolve saffron in warm milk and add it to one portion of the curd mixture. * Heat ghee, add the remaining garam masala and sauté over medium heat until it begins to crackle. * Add onions until golden brown. Then add green chilies, ginger, garlic and stir for a minute. * Add turmeric and chili powder, saute for half a minute add the chopped vegetables and stir for a minute. * Add the portion of plain curd, stir, add 2/3 cup water, and bring to a boil, then simmer until the vegetables are cooked. * Add the dry fruits and nuts when the vegetables are done. 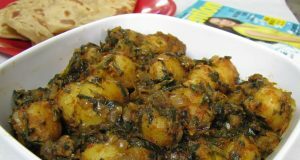 * In the handi with the cooked vegetables, sprinkle little saffron curd, mint and coriander. * Then spread half the rice and again sprinkle the remaining saffron-curd, mint and coriander and top it with the remaining rice. * Place a moist cloth on top, cover the lid tightly so that it gets sealed. * Put the handi on dum in a pre-heated oven for 15-20 minutes. * Serve the hyderabadi biryani hot with mint chutney and other vegetables. Tehri is the name given to the vegetarian version of biryani.The vegetable biryani was originally made for the Mahajan Hindus, who were the cashiers and financiers of the Nawabs. The vegetarian version or ‘pulao’ has some textured vegetable protein-based balls to present the impression of a meat-based dish for vegetarians. The difference between biryani and pullao is that while biryani may be made by cooking the items together, pullao, is used to denote a dish where the rice is cooked separately from the other ingredients. * Place rice in a colander and wash thoroughly under running cold tap. Soak in plenty of water for about 30 minutes. Thinly slice onions and keep aside. * Heat 14 cup oil in a large heavy based skillet, add one sliced onion and stir fry for 35 minutes, until soft but not brown. * Add rice, carefully stir to coat rice with oil. Add water, increase heat to high and bring water to boil, stir occasionally. Lower heat to medium low, cover and cook until rice are 34 cooked, stirring occasionally. * Cut vegetables into small and equal sized pieces and place them in cold water. Place yogurt in a small bowl, add all the spices, ginger and garlic mix well and keep aside for 30 minutes. * Heat 14 cup oil in medium skillet, over medium heat. Add bay leaves and star anise. Fry for few seconds, then add remaining sliced onion and saute until soft, about 5 minutes. * Add vegetables and stir fry for 35 minutes. Add yogurt mixture and cook over high heat, until vegetables are tender but still crisp. Season with salt. * Preheat oven to 400. 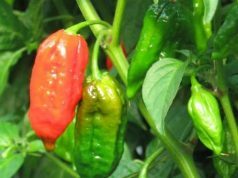 In a large aluminum baking pan, place 2 inch layer of rice at the bottom, then a layer of vegetable mixture and green chilies, repeating this until vegetables mixture and rice have been used up. Sprinkle with coriander leaves. * Cover tightly with aluminum foil and bake for 30 minutes. Note: Water for cooking basmati is twice the measure of rice. Removing rice off heat after it is three quarters done should leave some fluid content that will get absorbed in the baking process. Baking allows the flavors to seep in evenly as well as make the rice fluffy. * Serve with a raita and fresh salad. Malabar biriyani is believed to be brought across the Indian Ocean by Arab Seafarers. The ‘Mappilas'(thats what the muslims in Kerala were called)also prepare a type of biriyani which is believed to have come from Samarkhand with the Mughals and migrated through the Deccan plateau to the south. The Kerala Muslims have developed many variations of the biriyani – rice cooked with mutton, coconut and yogurt, mutton and egg biriyani and fish biriyani with spices, tomato, cashews and raisins to name a few. Biryani is also cooked differently. The meat and the rice (not the long basmati, but the shorter variety) are cooked separately. They are then layered in a narrow-neck pot and steamed, ensuring that the flavors of the meat completely encompass the rice. It is often served with a simple raw mango, coconut and green chili pepper chutney. * Mix together the ingredients for marinating chicken.Apply the mixture thoroughly on chicken pieces and allow it to stand for half an hour preferrably in refrigerator. * Wash and drain the rice well.Heat little ghee in a pan,and roast the rice for 4-5 mts.Add necessary water(Usually the measurement is like,for 1 cup rice – 2 cups water) and salt into it,cook rice till soft and all the water is absorbed.Spread the rice in a flat serving dish,and sprinkle 3-4 drops of lime juice, allow it to cool. 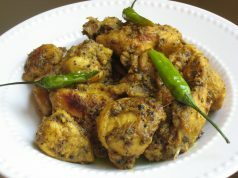 * Heat a little ghee in a pan and roast cashews and raisins till brown and keep it aside.Now add half of sliced onion and fry them until thay are well browned.Add more ghee /oil if needed.Drain them into a tissue paper and reserve .Now into the same oil,add marinated chicken pieces and shallow fry them for a while.Shynee says this can enhance the taste and also make the chicken pieces more firm. * Now heat another vessel and heat ghee/oil(preferrably ghee for more taste,or you can combine ghee and oil together) ,add rest of the onions and saute them till translucent.Mix in tomatoes,salt and the ground paste and saute them for 2-3 mts.Stir in curd and lemon juice and saute until oil seperates.Now add fried chicken pieces,mix well,cover and cook. * When it is half done,add Coriander leaves,Mint leaves,curry leaves and 2 tsp Biriyani masala powder.Mix and allow the chicken to cook well in medium heat,until all water is absorbed and chicken pieces are coated with gravy.Switch off the stove. * Take a big vessel,spread chicken pieces along with the gravy in the bottom.Now add one layer of cooked rice over chicken.Sprinkle a little biriyani masala powder,fried onions,cashews, raisins and saffron(mixed in rosewater).Repeat the same for 2 more layers with chicken ,rice and fried cashew-raisins-onions etc.Seal the vessel with aluminium foil and bake it for 15 mts(150 degree celsius).Mix thoroughly and serve hot with whole boiled eggs (in the middle), Onion Raita, Pickle and Pappad.